Over the course of the last two decades, Detroit-based duo ADULT. (Nicola Kuperus and Adam Lee Miller) have released six albums and nineteen EPs and singles across some of our favorite labels: Mute, Ghostly International, Thrill Jockey, Clone Records, Third Man Records, and their own label, the revered Ersatz Audio. November 1998 marked their first release: the five-song 12″ “Dispassionate Furniture”. 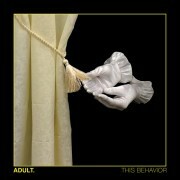 This September, twenty years later, Dais Records is proud to announce ADULT.’s seventh full length album: THIS BEHAVIOR. Kennedy returned to the studio with producer Joshua Eustis (Telefon Tel Aviv), Sunny Haire (Cash’s stepfather), Matia Somovich (INHALT), and Anya Dross (Cash’s girlfriend) to complete unfinished demos and sketches, write new compositions, and honor Cash Askew. 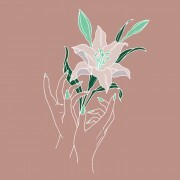 The result is “AMENDS”: an album of tragic beauty and depth that tugs at emotions and inspires. HIDE was birthed from Chicago’s DIY scene in 2014. Heather Gabel and Seth Sher make up this electronic, sample based, post-industrial duo. Haunting vocals, throbbing sub-bass and trance inducing drones round out a sound that both punishes and empowers. 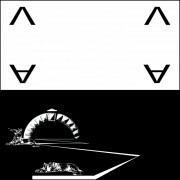 Here’s the latest release from Wetware, an industrial / experimental duo formed in 2015 from Brooklyn, NY.